“My story is a long one. Here is the shorter version. I was diagnosed with endometriosis at the end of 2013. I ended up getting pregnant right away after a laparoscopic surgery in January 2014. Sadly I lost this baby in April. I then began to take some time off from my loss and found a wonderful acupuncturist who started treatment on me in July 2014. I then became pregnant with a little girl in September of that year. I’ve had a very rocky road with pregnancy and conception over the last three years and we now have two sweet boys in heaven. When we decided to start trying again I thought it would be easy since I know my body pretty well now, but for some reason I wasn’t showing signs of ovulation. I came across your 10 day smoothie challenge and I liked it so much I kept it up. The next month I was pregnant! Thank you for such an easy and beneficial challenge! “I had my first miscarriage at 30 years old after being on birth control for 15 years. I got pregnant the first month after I stopped taking it and was thrilled. At 12 weeks they could not find a heartbeat. I was told it was incredible common. Abbey’s shares where she found help in her story After Two Miscarriage, Abbey Credits Her Success to Diet Changes and Vitex! Roslyn’s dreams comes true after she makes dietary and lifestyle changes, and begins naturally supporting her fertility health. “I truly believe the fertility cleanse and smoothies played a major factor in me becoming pregnant. Even the doctors didn’t believe I was pregnant. They assumed the positive test results were from my third miscarriage (which happened 5 weeks prior to me becoming pregnant). I had had four successful pregnancies in a row. My oldest was 10 and my youngest was 2. When I found out I was expecting again on April 2, 2017, I was overjoyed! I love each one of my babies and count them each as a welcome blessing from the Lord. I scheduled my first prenatal appointment to early May. My kids still did not know I was expecting and I was hoping to surprise them at the appointment! I talked to the midwife, told her I wasn’t as sick as I had been with the previous four (which I attributed to some healthy lifestyle changes), and that I was hoping to have a smoother pregnancy! She gives me the usual recommendation, brings in the portable scanner, and starts scanning my belly. We see the baby. No heartbeat (at about 8 weeks at that point). She says, “let’s go across the hall where they have better ultrasound machines.” We did – no results. I felt like my gut had been punched! I remember that day vividly – it was a sad day. My kids found out I was pregnant and within 15 minutes found out the baby was not doing well. We waited a couple of weeks, got another scan at a different location, and still had the same results. I remember May 12, 2017 as the day my precious baby left my body and I don’t think I had ever cried that much in my life before! Fast forward to August. I find out I am expecting again, but lose the baby within a few days. It was then that I figured something wasn’t right with me. I started seeing an OBGYN doctor who was very supportive. She ran some tests (which came back normal) and gave me some recommendations. It was in August that I found Natural Fertility Info. 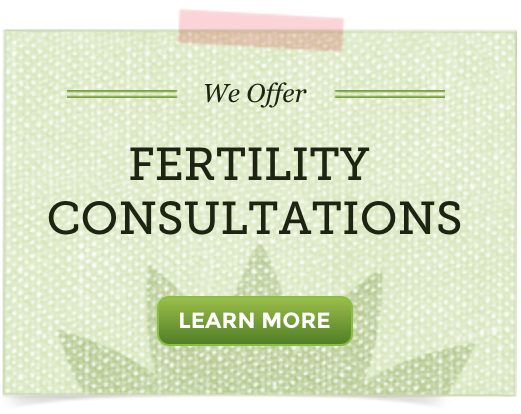 I wanted to know what I could do naturally to help and strengthen my body to conceive again. I did their cleanse, followed their nutritional advice, and my husband and I started trying to conceive again. I got SO MUCH support from them! I don’t think most people understand how painful the loss of a child is – no matter how many kids a family already has. Each child is so unique. I am definitely not the kind of person that ‘writes strangers’ for help and comfort, but I sure wrote Sarah from Natural Fertility quite a bit! She encouraged me in a way that really helped me through those dark weeks. So my husband and I had been trying to conceive for almost 2 years and had been treating with fertility doctors for almost 1 1/2 years when I decided to take a break from all appointments, including my acupuncture appointments. I was exhausted and frustrated and thought it was a good idea to try to work on regaining a positive outlook about my fertility. I started reading “Yes, You Can Get Pregnant” and ended up purchasing this DVD [Self Fertility Massage] because I figured “why not?” Let me just say, I am soooooo glad that I did!! I am currently 16 weeks pregnant with a baby girl!!!!! At the very least, I found this tutorial to be very relaxing and at most, I give it at least partial credit for finally having a sustainable pregnancy after only having chemical pregnancies in the past. Thank you so much for this wonderful product!!! !